Toshiba America Business Solutions in collaboration with Panther Industries today announced the upcoming availability of an affordable, print and apply system at MODEX 2018 being held at the Georgia World Congress Center in Atlanta. The print and apply system – being previewed at booth B2652 throughout the April 9-12 event – couples Toshiba’s B-EX4T1 and B-EX4T2 thermal barcode printers with Panther Industries’ Shadow automated labeling system to power key applications for today’s supply chain and logistics professionals. The print and apply system enhances operational efficiency by printing and applying labels on-demand with high accuracy. Easily integrated with scale heads, barcode scanners, warehouse management systems and enterprise resource planning systems the product streamlines virtually any labeling application. Warehouse and distribution center professionals have the option to install the print and apply system on a tabletop or a stand adjacent to a conveyor for top and side labeling. Featuring Toshiba’s proprietary Ribbon Save1 technology, the print and apply system optimizes ribbon consumption while reducing waste. A large-capacity ribbon (up to 800 meters) reduces the need for frequent media replacement. The dual motor improves media handling and assures the creation of scannable labels. Toshiba’s printheads are also backed by an industry-best three-million linear-inch warranty. In addition to previewing the Toshiba and Panther system, MODEX attendees will receive an overview of Toshiba’s other signature thermal barcode print technology. Toshiba’s industrial (B-EX6 series), ruggedized portable (B-FP3 series) and double-sided 2ST™2 direct thermal (DB-EA4D) printers are all designed to support the rigorous and high-production labeling output supply chain and logistics professionals demand. For more information about Toshiba products, or to locate an authorized Toshiba reseller in your area, visit www.business.toshiba.com. Panther Industries is a manufacturer of automated labeling equipment. 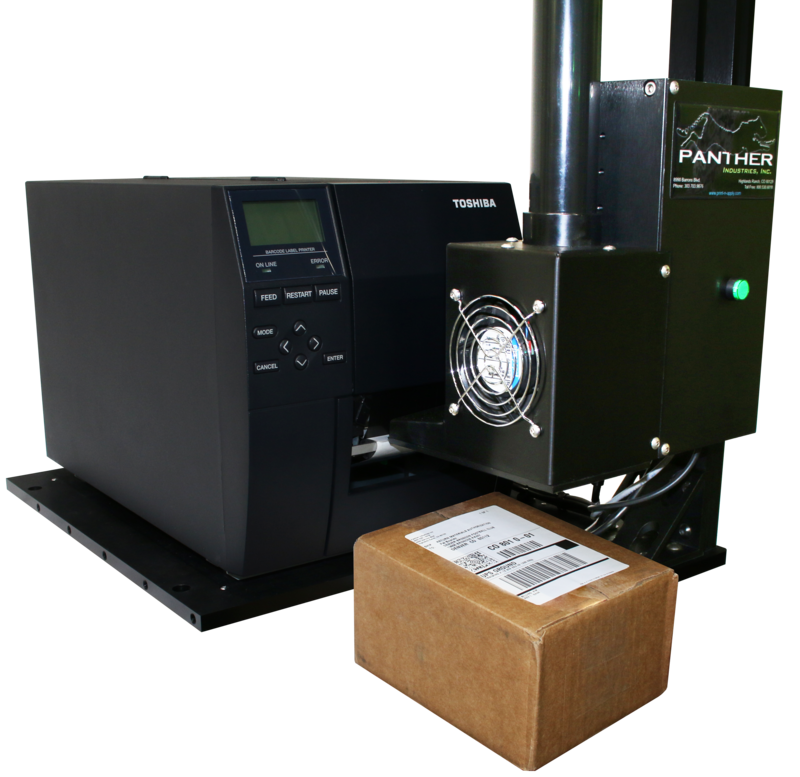 Panther’s product line includes the Panther P8, NEXTStep, CUB Label Applicator, Panther Shadow, and the company’s latest Panther Predator P9 Print and Apply Labeling System. Panther’s systems incorporate industrial "off the shelf," non-proprietary components. The company has taken the time to study its competition while developing and incorporating a "clean-sheet" design within its entire product line. Panther’s systems are designed to stand apart from the competition in terms of features, reliability, and performance.